This isn’t a new book (it was published in 1991) but I’ve had a first edition hardback sitting on my bookshelf for a couple of years and thought it was about time I opened it up. Barnes is as talented a writer as I remembered, but the story itself didn’t grab me. It’s a love triangle, but that’s not really the point: Barnes writes to play with language and themes, to demonstrate mastery of a variety of voices, and to critique society through dry humour. He achieves all of this, and I stuck with the book long enough to be enchanted. That said, I didn’t relate to or particularly like any of the characters (and frequently wanted to punch Oliver) and it took me a lot longer to read than most of what I’ve been choosing lately. NB: This is Brenda Baker’s debut novel, published just before she and I “met” online and became friends and critique partners. It's been a long time since I've done a 5 sentence review. I do have two to include later tonight in another post, but the month of April also included reading 4 books that are still in the development stages, so I thought I'd take this opportunity to comment on what beta reading is like, some of the pros and cons, and how you can become involved as a reader or a writer. Beta reading, like "beta testing" anything, involves reading something that is pretty well developed but not quite ready for publication, in order to give the writer feedback. A beta read is not the same as an ARC (Advance Reader Copy) of a book that will more or less remain unchanged. ARCs are for reviewers and booksellers to make a judgment on, for the sake of other potential readers. Beta-reading is for readers to become part of the editing process, to help the author ensure their characters are well-developed, plot holes are filled and kinks are ironed out. Nor is it the same as a first draft critique. Books often go through dozens of drafts before they're put in a reader's hands. For me, I have a team of writers who read along chapter-by-chapter each week and offer me feedback as I'm developing the story. This is when the drafts are rough, bits of earlier chapters change (affecting the plot) as they're reading based on their advice, and spelling/punctuation/grammar mistakes and typos haven't been caught. That team puts up with a lot of sludge; they're angels. Then there's an "alpha read" where the reader will get a finished draft, but books still need a lot of work. Alpha readers find what works and what doesn't, what's worth keeping and what can be cut out. They give big picture feedback on content, characters and themes. When a book is semi-polished and has run through a few clean-ups, it's ready for a beta read. There, readers catch mistakes or places where it still doesn't quite "work"; they tell the author whether their book is ready to be submitted (to agents, publishers or self-publishing) or if there's something that stands out and really needs to be fixed soon. Free books! Also, you get to be involved in the process of creating a book, without coming up with your own story ideas and writing them. It's pretty cool to be able to affect the final outcome of a story and have your opinions taken into account, especially if you also end up on the acknowledgments page. Have you ever finished a book and thought "that was great, but it would have been better if X didn't happen" or "I wish there had been more of Y's thoughts and feelings in that part" or even "wow, great book but terrible ending"? The best you can do with that after a book has been published is write a detailed review. But when you're beta reading, authors want your criticisms, the more specific the better, and you can nitpick as much as you like. Sometimes a book will have a few beta readers at once (such as the April "beta swap" I completed last month) followed by a group discussion about it. This is a little like being part of a book club where the author of the book joins in the discussion. The round table discussion is priceless for writers and (I find) enjoyable for readers as you get to chat with others and share opinions. If you're a writer, an added bonus of beta reading is often a one-for-one trade off with another writer, where they'll critique your work in exchange for your feedback on theirs. Why submit my book to beta readers? As writers, constructive criticism is how we grow. When you've been writing and re-writing for a long time, it gets hard to look at your story with fresh eyes. Even regular critique partners or writer's groups can bring their understanding of your characters from past drafts in to what they're reading, if they've been working with you for more than one or two edits. Beta readers are a great way to get "overall impressions" feedback while you still have time to do something with it and make necessary changes. And unlike family or friends, their feedback isn't influenced by what they think of you or what you're doing, and they know your genre well because they're choosing to read the book, not the work of a person they care about. When you finish reading a published book, you can go on with your life, read something different, and think about the book as much or as little as you like. While no one can force you to give your feedback, with a beta read it's understood that you will take the time to really think about what you have read and articulate that for the author. Also, if you dislike the book, there's a stronger sense of obligation to read to the end - although as a writer, being told where you stopped reading and why can be incredibly valuable in and of itself. 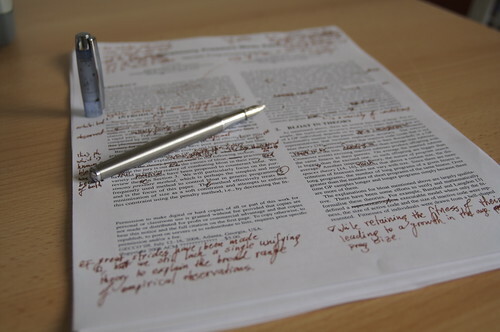 I do find that when I've been reading to critique for a long time, it gets harder to get lost in a new book without that "red pen" voice in my head as I read. The reading process itself also generally takes quite a bit longer. There's also the problem of different people with different opinions. A writer has to work out which suggestions to take on board and which to dismiss, and finding a majority consensus can sometimes be tricky, especially if you don't have that round table discussion where beta readers can listen to each other's thoughts and take the opportunity to agree or disagree. Should I pay for a beta reader? There are readers out there who will offer their services for a fee, which is understandable given the time it takes them. However, before hiring one of these paid beta readers, you need to ask yourself what skills or experience they can offer to make their feedback worth more than a free reader. 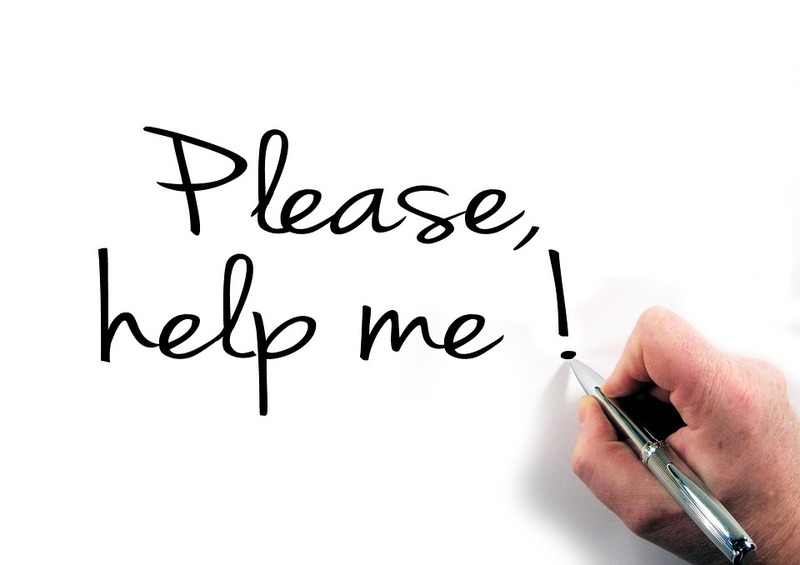 If I were to spend money on a reader, personally I would look for a professional editor and ask for a structural edit or manuscript assessment, rather than a paid amateur. But that can also be a matter of budget. Some paid beta readers will offer a sample, where they read the first few chapters for free and send their feedback, so you can decide based on that whether it's worthwhile going ahead. Ultimately it's up to you, but be aware that you can find beta readers without opening your wallet if you look hard enough and are willing to give up some of your own time in return. ​Do I still need to hire an editor after a beta read? It depends. If you are pursuing traditional publishing, that is, submitting to an agent or publishing company, I would say no. Publishing houses hire editors after they have accepted a manuscript, and they will do this regardless of how many changes it went through before landing on their desk. A manuscript assessment service might be worthwhile, but I wouldn't suggest paying for a structural edit, copyedit or line edit. On the other hand, if you intend to self publish then yes, spend the money on a qualified editor. Beta readers are great, but they don't give you the line-by-line feedback that you need to make your book shine. How can I get involved in beta reading? There are numerous ways to find writers or readers for your unpublished manuscript. Websites such as betabooks are specially designed for alpha and beta reads, and other writing communities such as scribophile often have groups to set up novel exchanges between writers in a similar genre. Social media can also be a great way to make those connections - I recently saw another writer on twitter post asking for YA authors to exchange manuscripts with, and from there it was as straightforward as DMing my email address. If you're interested in beta reading and don't have your own writing to exchange, one tweet and you'll likely find yourself inundated with requests from eager and grateful writers. There were 4 of us, devoting a week per book to reading, followed by a group discussion at the end of the week. The quality of writing was varied, with one manuscript easily as good as a published book and another needing a lot more clarity on the major plot points and intentions of the writer. I was able to read on my phone at night while breastfeeding my baby, or in the car waiting to pick my son up from school. All of my feedback was met with appreciation and I got to read some good stories. I have a clear sense of where to take the next draft of my book and what the major changes need to be, but I still felt very encouraged by the kind words of the other readers and their interest in my work. I can't review their books for you, partly because I don't have permission from their authors and these are unpublished works, but also partly because if the books are published at some point, they will change! And that, really is the beauty of beta reading. Much like teaching, I get to not only see someone grow, but be a part of that.